How Affiliate Cookies Work ? 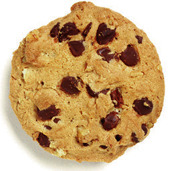 A cookie is a small piece of text or text file that is loaded on to a users computer to identify that they have come from an affiliate website to a merchant / advertisers website to buy an item or sign up as a lead. The cookie is triggered or “fired” when the consumer makes a transaction on the merchant’s website page. Affiliate networks are often used to provide this tracking. The cookie enables the merchant to indentify that they need to reward an affiliate for driving the traffic to make the sale. The cookie is usually placed on the user’s computer without their knowledge and posses no harm or threat to the user’s computer. Affiliates are normally only attributed with sales for a set period of time after the user has visited the affiliate’s website. Standard settings for the life of a cookie vary a lot from 24 hours to 365 days depending on each program. That is how affiliate cookies work. I was a little shocked when one affiliate network told me their cookies were good for one day and that was a good thing. I like the networks where you get 45 to 90 days of a cookie to make the sale.